Things have been hectic lately. 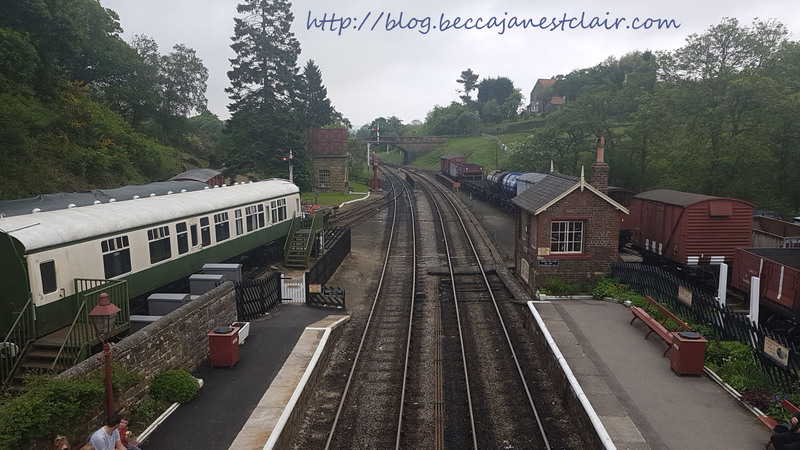 So hectic, I wasn’t sure if I would be able to get together with one of my oldest friends when she and her sister were visiting…but we made it work and I spent Sunday evening with them, and then they asked me if I wanted to join them on Bank Holiday Monday to visit the North Yorkshire Moors Railway – someplace my friend and I planned on visiting when she visited me six years ago but hadn’t been able to. 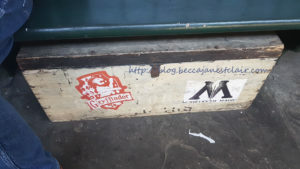 Our reason for going to the NYMR was Harry Potter because Goathland was used to represent Hogsmeade station in the films (well, just one film) and my friend, her sister, and I are all big Harry Potter fans. When they first told me their plans, I sat down with the National Rail app and bus schedules and I worked out a long trip for them leaving Lincoln at 7 in the morning, taking the train to Pickering, then getting on the steam train to Goathland, followed by a two hour bus ride to York, then a train to Edinburgh, their final destination for their trip. 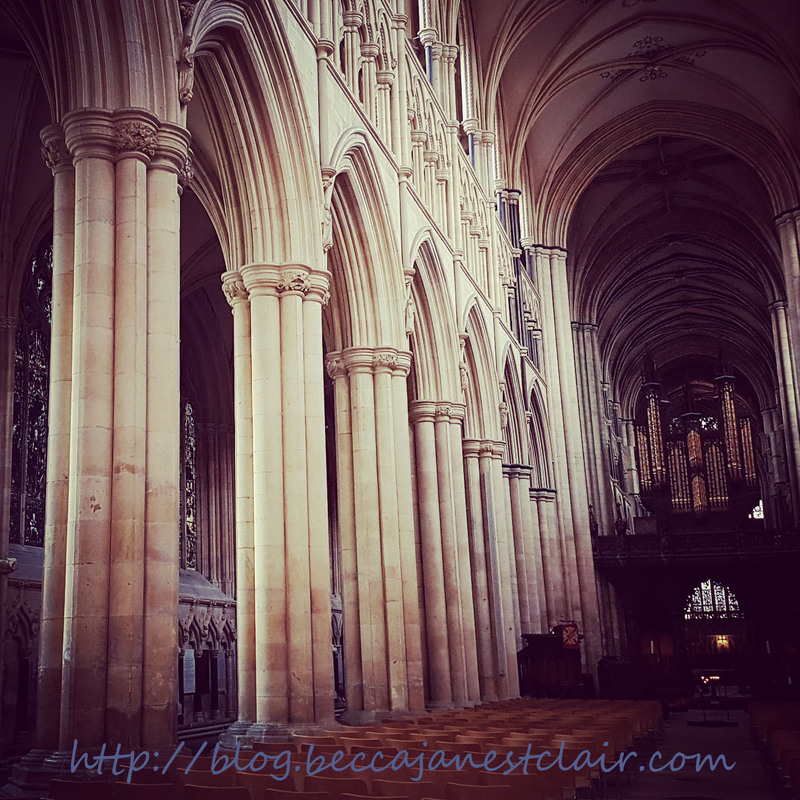 I worked out that I could go with them a far as York, and then hop on a train back towards Lincoln…although I really wasn’t looking forward to a two hour bus ride to York! I started looking at schedules again and I worked out if we took the train to Malton, then the 840/X40 bus to Pickering, we would be able to do a round trip to Goathland, take the bus back to Malton, and then head in our separate directions – my friends to York to get up to Edinburgh, and me to Leeds to catch trains heading back towards Lincoln. The trip was not without a few snags. Our first snag hit when the Northern Train to Reford was cancelled….but fortunately, we could hop on an East Midlands Train to Newark North Gate and continue on our journey. We reached Malton with plenty of time,and the bus station was only across the street from the railway station. The round trip to Pickering was Â£7.50 (singles are Â£4.80) and the twenty minute bus ride was pleasant. We sat with a man who is a regular bus rider, so he was able to tell us which stop to get off at and how to walk to the station. We missed the train. When we got to the ticketing counter, the man was just putting through our tickets when his phone rang – a little boy fell and broke his arm and required first aid. But by the time he got back to us, the train had already left the station and we would need to take the train in an hour…which would cut our time at Goathland, but we thought it was still doable. One half done each way! We heard our train come in and we rushed up the iconic stairs and grabbed seats on the train…to sit. And sit…and sit. The train we were supposed to be crossing was running late. 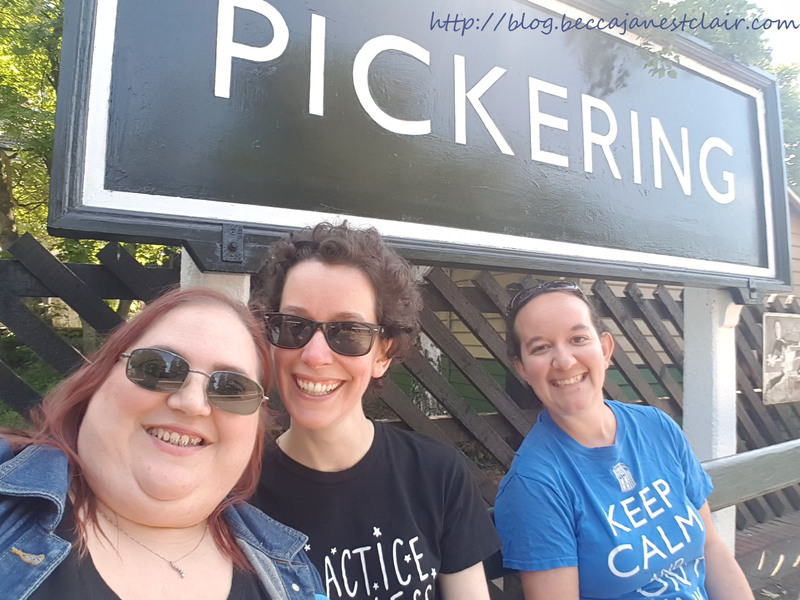 We watched the clock tick up and realised we were going to miss our bus back to Malton, so back to the planning stage I went. 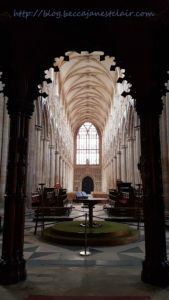 The next bus was two hours later, and then we would have another hour to wait in Malton before boarding a train to York, and then I would split from my friends – they would go on to Edinburgh, and I would head home. Of course, our original plans would have had us reaching our destinations by five and now we wouldn’t get to our destinations until almost ten, but…these things happen, and no one got stranded! And it was all worth it – the early start, the transfers, the emergency contingecy plans on top of contingency plans because I got to see one of my closest friends…we’ve known each other for over thirty years! Last Sunday, Tim and I were lounging in bed having a lie-in and reading. I was in the middle of the first Hunger Games book, and without giving too much away I’ll say that the protagonist was on a train. This prompted me to say to Tim that I “wanted to ride on some trains”. Since we were in the middle of Tim’s long weekend and he didn’t have to be back at work until Wednesday AND since when we write a date on our priv passes it’s good as a 48-hour pass, AND since we had a few passes to burn before the end of June….we decided to do it. Loads of ideas were flowing – what direction did we want to go in? Did we want to do something new or visit an old favourite? 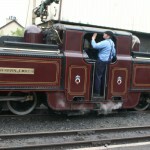 Did we want to ride steam trains, too? Did we want to pre-book accommodations? What about a sleeper train* or an International destination**? We finally pulled out an RPG 4-sider and tossed it giving each number a compass position (North-South-East-West). Our roll turned up South, but we had already agreed London was out (yes, I know there’s a lot of South that’s not London, but for a lot of it we’d have had to travel through London) and so Tim rolled it again and I think we wound up with “East” that time, but we kept tossing the ideas back and forth and finally Tim had a list of 8 different places for us to consider so we pulled out an 8-sider and it spit out the number we assigned Norfolk (which also happens to be South and East of here). As it turned out, in order to make the most of our days, we needed to be on the 0520 train out of Lincoln on Monday morning. Ouch. Considering that I didn’t get to bed until past 2AM and Tim had to shake me awake at 4:30 with “We have to leave in 10 minutes”, I was not a happy camper. 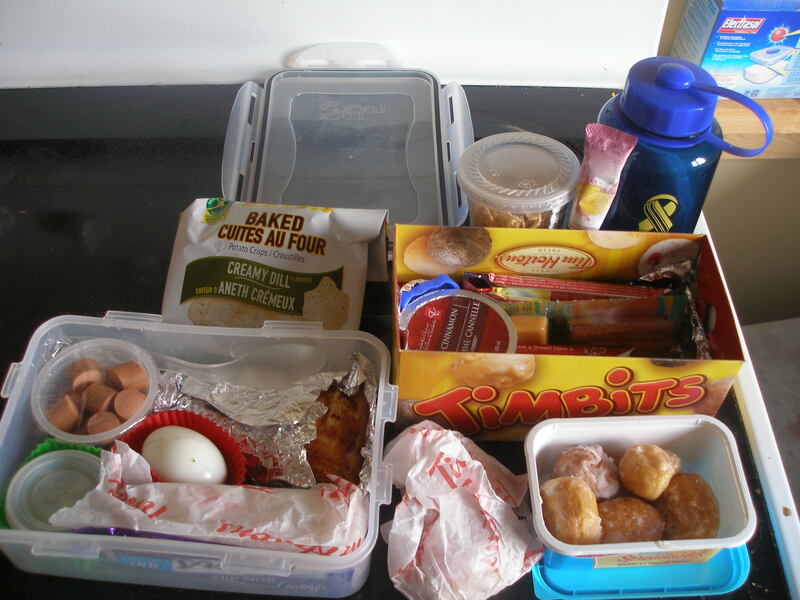 But the night before I had packed us both Breakfast and Lunch, so all I had to do was organize the cold stuff into a cooler bag and add an ice pack. I also had showered around midnight, so I didn’t need a morning shower. 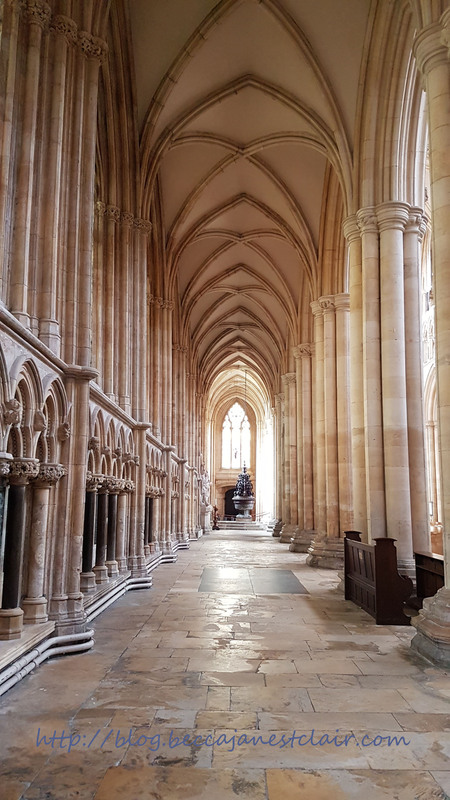 By the time we reached Norfolk, I was exhausted, but the weather was glorious and we were enjoying our time hopping around on various trains and riding up and down the same lines multiple times to get in multiple routes. Tim booked us a B&B at in Sheringham. He found the place on a website called Direct Rooms. We’ve had great results every time we’ve used that site, so I highly recommend it! Our B&B host texted Tim to ask what time we were arriving, and when Tim wrote back that we were travelling by rail, he offered to come get us at the station! The room was gorgeous — all decked out in purple and mauve (they knew I was coming!) and they really went the extra mile for being just a spare room in someone’s home (seriously!). There was a carafe of water on the bedside table, all manner of hot drink options next to the kettle, packets of biscuits and chocolates, and even shampoo, conditioner, bodywash, and soap — things that I don’t usually expect from a Bed and Breakfast place! The following morning, our host cooked us made-to-order breakfasts, and then offered to drive us back into town for the train! This place gets 5 stars in my book, and we WILL be booking in again next time we go! After we settled in on Monday evening, we walked back down into town and had dinner at a pub called the Robin Hood Inn. The food was good, and the dÃ©cor wasn’t bad. We decided to walk around the town and I window shopped in some of the small shops. We made it down to the sea and stood less than a foot away from the water, trying to skip stones until I could no longer feel my fingers. We got back to our B&B at around 10PM and I had every intentions on having a cup of tea, relaxing, and then showering but I wound up dropping my Kindle and was fast asleep by 11.
for Tuesday, we decided to take in a little bit of steam railing and after a quick trip around the gift shops of Sheringham, we boarded the North Norfolk Railway. The trip up and down was lovely with lots of sea views and we even had our own compartment. When we got back to Sheringham, we headed on the regular train down a few stops to ride on the Bure Valley Railway, a 10-inch gauge line. 10-inches is about as small as I am willing to go on (even though you can ride 7-inch and 5-inch, I just don’t like them and find those a bit too small for my taste). 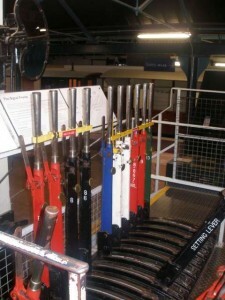 And really, get your minds out of the gutter as I was talking about RAIL GAUGES! 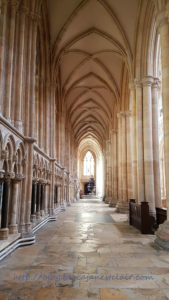 After Bure Valley it was back on the train to Norwich, Norwich to Peterborough, Peterborough to Newark, and Newark to Lincoln. We arrived back at 2000. What a lovely way to spend a few days! *If we had wanted to, we could have ridden a sleeper train to Cornwall, provided we were ready to leave the house about 2 hours after this discovery (on Sunday night)…which we couldn’t do. It also would have cost us Â£70 extra to take a sleeper in addition to staying Monday night in a B&B. 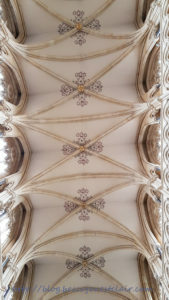 **We also discovered it was quite possible to travel all the way to KÃ¶ln and back in the two days time, but it wouldn’t have given us much time in KÃ¶ln and we would have been paying full-price for European travel since we hadn’t pre-applied for European travel coupons (yes, I love my husband’s job and it’s perks!). 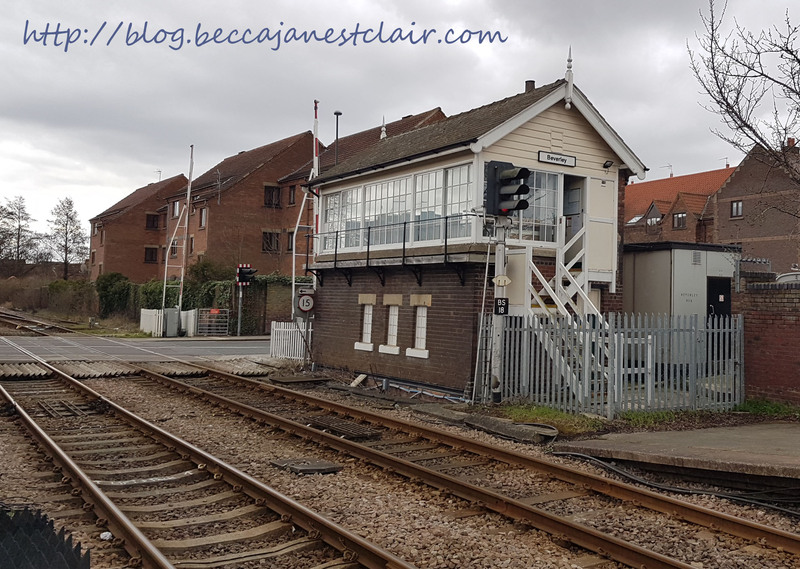 I’m blogging about both railway trips in the same blog post because these two railways are very different, and yet related to each other. 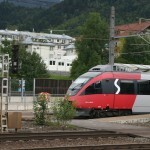 Both railways originate in Jenbach. 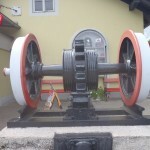 Jenbach is very special, in that it is the ONLY railway station in Austria to have three different lines meet of three different gauges. First, there is the standard gauge OBB (Ã–sterreichische Bundesbahnen) line. 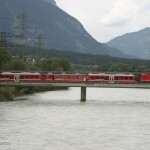 OBB runs both passenger and freight trains, and from Jenbach you can get anywhere in Europe by travelling on OBB. 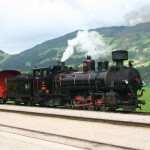 Your trip might involve several transfers, but you can still originate in Jenbach! One of the best things I saw while watching trains in Jenbach was the train full of lorries (US: 16-wheelers), complete with cabs! Apparently moving them by train is the best way to get things over the mountains. 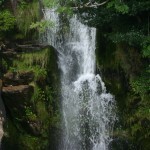 Unfortunately, we were never fast enough with our cameras to catch photos or video of this. 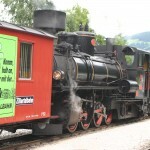 The second line to meet in Jenbach is the Achenseebahn. 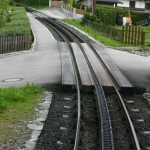 The Achenseebahn is a meter-gauge (meaning the distance between the rails is measured in metric as opposed to imperial) partial cog railway between Jenbach and Seespitz. 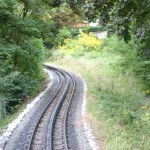 The Achenseebahn is Europe’s oldest cog railway, and about four miles long. The Achenseebahn takes you up the mountain to Seespitz and the Achensee. As this entry will be very photo heavy due to it being about two railways, I will blog about our trip around the Achensee in a separate post. 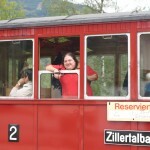 The third line that meets in Jenbach, and my personal favourite of all the Austrian lines we rode on, is the Zillertalbahn. Unfortunately, their website as it is currently down. 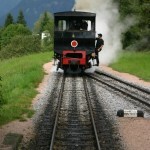 The Zillertalbahn is a narrow-gauge railway line at only two feet, five and seven-eighths inches. 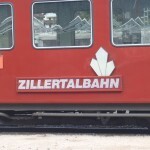 The Zillertalbahn runs the opposite direction of the Achenseebahn, and takes you into the valley of the Zillertal mountains between Jenbach and Mayrhofen. 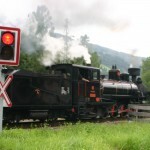 The Zillertalbahn runs regular commuter-type passenger service, daily special steam (dampfzug) service, as well as freight movement for the logging industry. 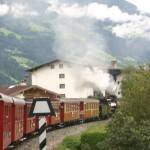 The Zillertalbahn also happens to run through the village we were camping in, Zell am Ziller. 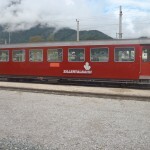 We knew we wanted to ride the dampfzug the entire length of the line, but instead of driving down to Jenbach, we decided to get on one of the commuter trains from Zell am Ziller to Jenbach. We purchased day tickets, which would allow us unlimited rides along the Zillertalbahn for the day, but did not include travel on the dampfzug. We had to purchase those tickets separately at Jenbach. 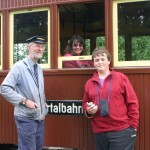 The Zillertalbahn certainly is special. 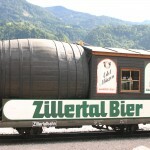 The dampfzug trips are special trips for tourists, so they pull out all the stops, including a passenger car entirely made from Swarovski Crystal (called the krystallwagen and a brake van (US: caboose) decked out to look like a giant beer barrel for the local brew – Zillertal Bier. And the coaches looked rather familiar to me, too. 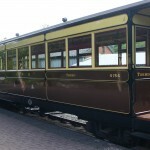 The Zillertalbahn had donated some of their surplus to the Welshpool and Llanfair Railway, and I had a ride in one of their donated coaches when I visited Wales in August. 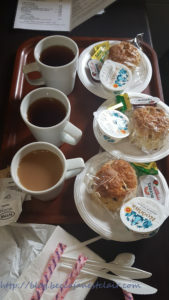 This was not to be the only connection back to the Wales trip on this trip, either! Tim and I both enjoyed the ride. 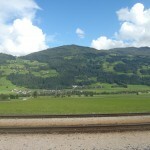 Previously, we had seen the valley through the car windows as we drove back and forth between Zell am Ziller and Innsbruck the day before (the day we arrived it was too dark to see). The Zillertalbahn line runs parallel to the road for quite a bit of it’s run, perfect for gricing later, but it also runs through the valley and into some of the smaller villages you wouldn’t even notice from the road. 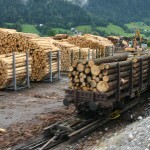 We also got a closer look at the freight industry as the train ran directly parallel to the logging yards. I’m completely not technical, so if you want more technical information about this, you’ll have to ask Tim, but basically, they load standard gauge freight wagons onto narrow gauge chassis and take the freight up to Jenbach, where it gets loaded back onto a standard gauge train. I hope I got that right! Tim’s at work right now and I can’t ask him, but I’m sure he’ll correct me in the comments if I got something wrong! We split up once we got to Mayrhofen – Tim to go take some more pictures, and me to find a loo! One thing I learned in my travels in Austria is that public toilets charge a fee. Anywhere from 20 cents to as high as 75 cents and even a full Euro in some cases. You just insert the coins into the vending slot on the door, and then the door will unlock for you. I had somehow wandered into the middle of a tourist group from Yorkshire who had also been riding the dampfzug, and the ladies all decided they would save their money by holding shut the stall door for each other, letting several people use the loo from one single coin. As I spoke English, the ladies in the group just assumed I was with them and let me join them in sharing the coin. 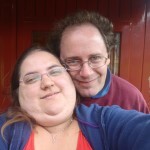 I found Tim, and we decided to get something to eat in the small pub (if you could call it that!) in the station. We had the classic German dish – frankfurters. This was not the first time nor was it the last time we had frankfurters on our trip – they seem to be everywhere and it reminded me a lot of finding hot dog stands on every corner in Philadelphia. This time, I urged Tim to try the mustard (Estragon Senf). He’s not a big mustard fan, but he decided he liked the Estragon Senf enough to ask what it was and where we could get some to take home. The barmaid showed us the bottle and we were able to find it on our trip to Billa that afternoon. 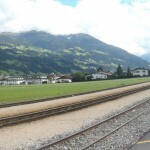 We boarded the train for our trip back to Jenbach, and as it was still fairly early, we decided to hang around Jenbach and took some photos. Then, we decided to find the railway bridge that crosses the Inn River. We were in luck, and not only caught several service (commuter) trains, but also managed to catch the second dampfzug of the day going across it! 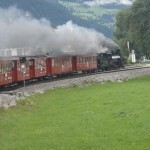 The following morning, we returned to Jenbach, this time by car, to ride the Achenseebahn. We discovered an “early bird special” if we took the first train of the day. 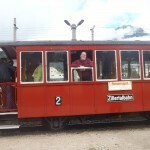 The Zillertalbahn wouldn’t have gotten us to Jenbach in time, so we drove instead, and just narrowly made it onto the train to discover that we would be the only passengers for the majority of the trip! 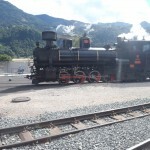 It was like having our very own chartered train ride that we didn’t have to pay charter prices for! The Achenseebahn is very steep at parts as it takes you up a mountain, so the train uses a cog wheel or rack to get up the steeper parts. 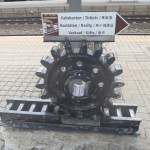 A cog wheel is a wheel in the middle of the train that has teeth on it and it uses it’s teeth to grab onto the middle rail to help pull the train up the mountain. 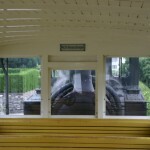 The Achenseebahn also has to push the train for half of the trip as it is too steep to pull it. 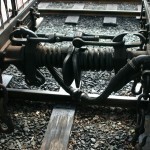 Tim told me this also acts as a braking system to prevent the coach from sliding down the mountain. Yikes! If you watch the video above, you can see the middle cog “track”. When we got to the top, we took a boat trip around the Achensee. Like I said, I will blog the video and photos of the Achensee later to not clog up this entry with more video and pics! Since we got up so early, we had plenty of daylight left once we returned to Jenbach. The boat ride was a few hours long, and the train ride not so long, either, so we wound up returning to Jenbach around lunchtime. We needed something to do for the rest of the afternoon, so after getting some lunch (I really think it might have been frankfurters again), Tim had an idea. 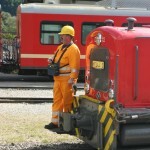 He wanted to grice the Zillertalbahn’s dampfzug. He asked me if I would be willing to take the video while he took photos, and a new hobby for me was born. I absolutely LOVED chasing after the train and stopping to film it. If you watch the first video posted in this entry, it’s mostly all footage I took while we were chasing the Zillertalbahn. We even made some “friends”, too. There were two little girls who started to recognize us each time the train passed where we were, so they would start waving at us. Absolutely adorable. 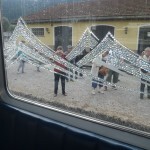 We followed the train all the way from Jenbach to Mayrhofen, though we didn’t catch it at every stop as we had to contend with other drivers and small country lanes! 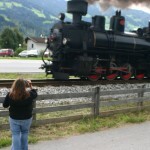 Once in Mayrhofen, we took our last photos of the Zillertalbahn and headed back to our campsite. Sorry about all the photos, but we have so many good photos and everything in Austria is so beautiful, I can’t help it! Hopefully, by putting them in gallery format with thumbnails it cuts down on loading time for you! Next up, a spin around the Achensee! Yesterday, we had plans for taking my mom to Edinburgh via the train. Tim and I planned on using our staff travel passes, and we had my mom apply for a Senior Rail Card (You are eligible at age 60) so we could save money on her ticket. I booked her ticket last week on the East Coast Trains website. After getting out of the house a bit later than we had wanted, we managed to get to Newark North Gate with time to spare, as our train had been delayed due to engineering works. 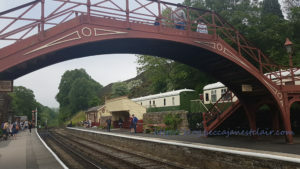 Tim explained that the engineering works was probably supposed to have ended prior to the first train of the day, but something must have happened to prevent engineering from giving up the possession (sometimes it helps to have a husband “in the know”!). 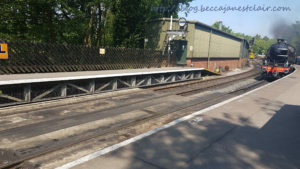 While we were waiting, my husband was outside on the platform and saw a train go past with blue sparks coming out of the overhead – The trains were having problems with the frosty covered overhead wires and he speculated that was why our train might have been running late. 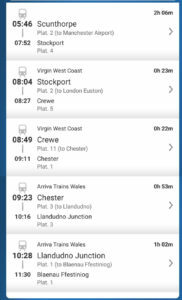 So we sat and read and kept glancing up at the timetable as our delay changed to being over an hour late….and then was simply replaced by the words “delayed” and an announcement that there were wires down. Tim said that wasn’t good, so I took the opportunity to go speak with someone at the ticket counter. First, let me say that he was amazing, and I wish I remembered his name. 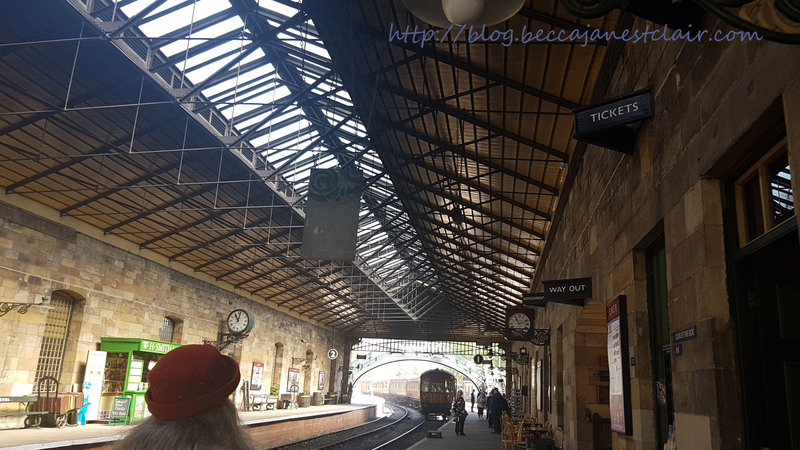 He explained to me that it was looking likely that our train would be cancelled OR the delay would be so fierce that by the time we arrived in Edinburgh, we’d have to turn right back around on the train we had booked Mom’s return ticket on. I asked him what we should do about the fact that her tickets claim it is “non-refundable”, and he explained that he would endorse the tickets and I could go to the website to claim a refund since the train was going to be cancelled and we had day return tickets. He couldn’t offer me the refund right there as the tickets were purchased through the website. He then also validated our parking ticket so we wouldn’t have to pay Â£9 for day parking. He also told me that if we decided to go to Edinburgh tomorrow (er, today), I could just bring the tickets back to him and he would re-issue them. So..we left. 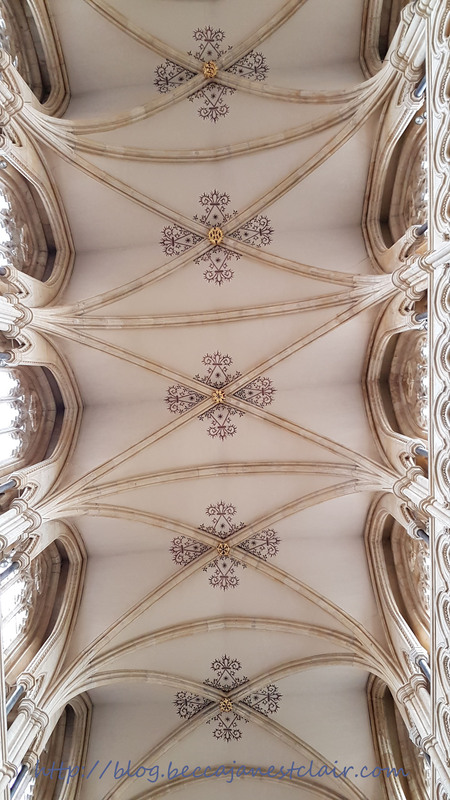 We salvaged the day slightly by going to Newark Castleand the National Space Centre*, but it was still a disappointing day. 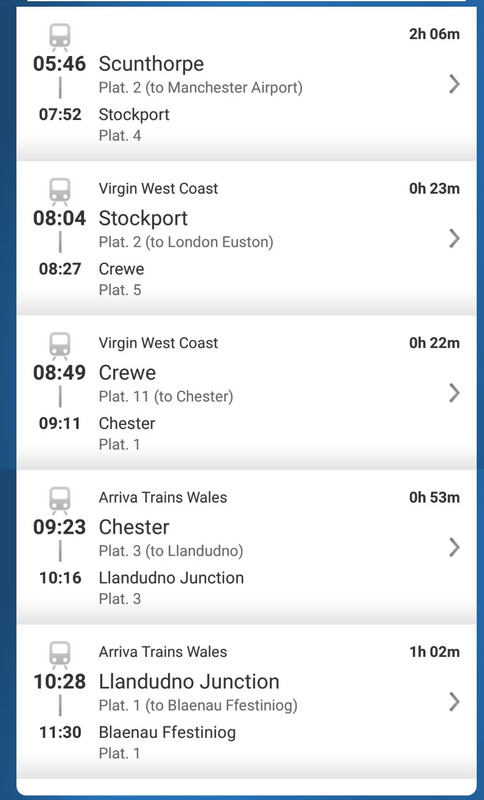 East Coast Trains announced they planned on getting trains running again by 18:30, with one train an hour, but according to their website right now, most services are still suspended, so I don’t think we’ll be attempting Edinburgh today. But imagine my confusion when I go to the website to put in my claim! 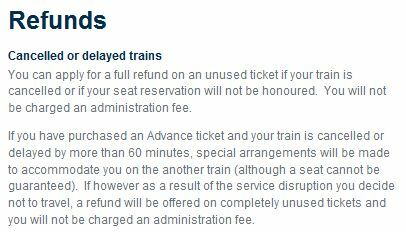 I completely undestand that technically the ticket is “Non-refundable”, but both the person we spoke with at Newark North Gate and their own website says I am eligible for a refund regardless because the service was cancelled. So..now what? I guess my only option is to send the request by post…and given that it is TWO DAYS BEFORE CHRISTMAS and most of the UK is shut down the Monday and Tuesday after to cover the holiday, I don’t think I’ll be seeing this refund anytime soon. Which is quite annoying because if we do decide to go anywhere next week, we’ll have to pay for Mom’s tickets instead of applying the refund. Of course, this is assuming I ever actually GET the refund, too. Tim and I also each wasted one of our passes, as you can’t amend/cross out anything on the pass and we already had the date written in on it. In the long-run, that’s not as big of an issue as being out Â£50, though. We probably won’t use all 16 passes before next year’s cards are issued anyway. And to make things even MORE difficult for us – last night we had a power cut for about an hour and despite having the fire going, it’s been impossible to warm the house up again. *Also, interesting to note. Day admission to the Space Centre gives you an annual pass. When Tim and I were travelling by rail a few months back, our train was delayed. 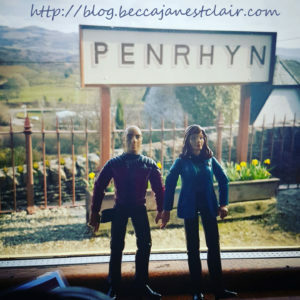 When we got to the station, we saw that another train had been delayed by quite a bit more than ours had, and when we saw the train, Tim knew the reason. 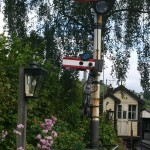 The electricity had gone out on part of the train, so they were using a signaller’s lantern as a train headlight. 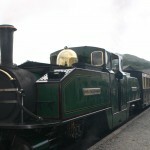 The last train we visited in Wales was the Ffestiniog Railway in Porthmadog. 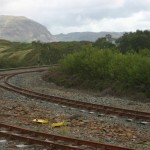 The Ffestiniog Railway runs for 13 and a half miles from Porthmadog to Blaenau Festiniog, where it meets the standard gauge lines of the national rail network. 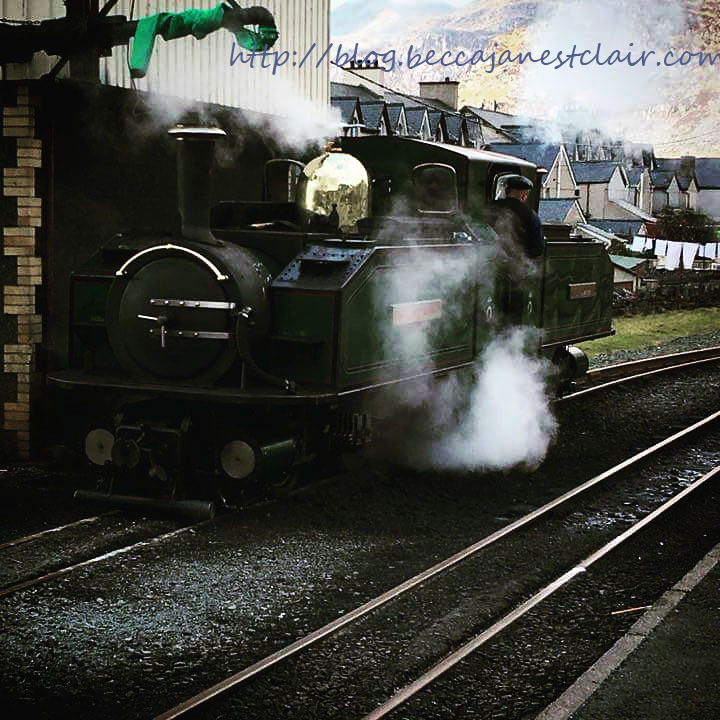 The Ffestiniog is gorgeous; the train winds around spirals, horseshoes, and tunnels,and climbs over 700 feet along the way. 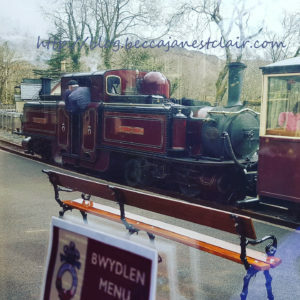 The Ffestiniog Railway is the oldest railway in the world and was created by an Act of Parliament in 1832, however it has not been in continuous service the entire time. 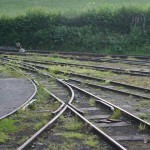 Traffic on the line ceased in 1946, and it wasn’t revived until 1954. 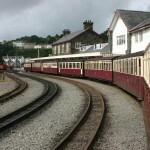 In 1990 the railway became involved in reviving another local railway – The Welsh Highland Railway. Plans were to connect the two railways in 2010, and while we saw the completed connection on our visit, they were unable to run trains at that time. They have since opened the connection, and this past weekend was it’s first weekend in service! We still managed to experience a first, though. I was taking photos of the shiny, black engine bringing in the passenger cars and I was curious as to why it did not have a name plate, so I texted my husband. He was quick on the response and wrote back “I’m jealous, that’s their new engine”. 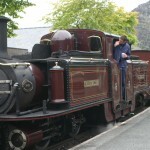 The engine would come to be known as Lyd, but we were watching the engine’s FIRST EVER APPEARANCE on the Ffestiniog. It was being run in and tested, but would not be pulling out train. 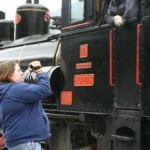 Instead, we rode behind Blanche, whose sister engine shares my mom’s name. The ride was fantastic. Despite the chill in the air and the drizzle, I rode in the open car so I could stick my head out and take photos. Boy, was it cold! I was glad I had brought along gloves and a scarf. 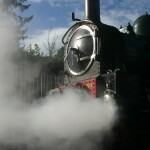 I wish I had remembered the tunnels before I picked the open car, though – inhaling the smoke wasn’t very pleasant! We decided to explore Blaenau Festiniog, but it was a very small town and there wasn’t much to do. 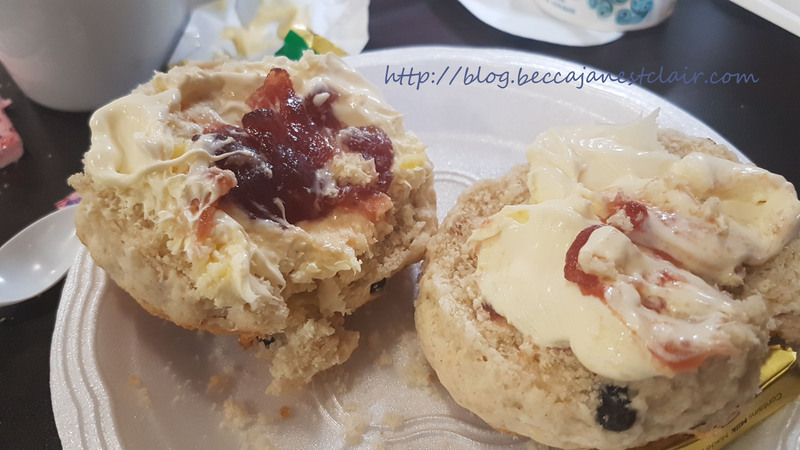 Once again, we managed to find a small hole in the wall tea house to have some Lunch before heading back to the station….where to my great joy, we got to go behind one of the double fairlies! I love the double fairlies. 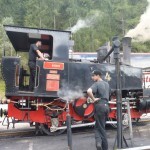 They are incredible machines with TWO boilers that meet in the middle with two separate smokeboxes – one facing forward and one facing backwards. At first glance, you might even think that there are two locomotives back-to-back instead of it being just one. I spent most of the return trip with the camera out the window trying to catch the engine. 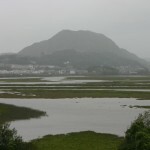 Unfortunately, it started to pour once we got back to Porthmadog. Helen and Mark wanted to explore the shops of the town, but since I was carrying Tim’s rather expensive camera I chose to spend my time reading in a cafe. We returned to our camp site later that evening and began packing for our trip back to Lincoln the following morning. …And we’re back to the Wales posts. Followed by the Austria Posts. And a bunch of other posts I need to make…. Wednesday was a fantastic day for all of us. 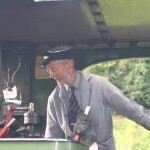 A friend of ours from the 16mm crowd, Dave, volunteers as an engine driver on the Welshpool and Llanfair Railway, so we decided to time our visit with when he was volunteering so we could get to ride behind a train he was driving. 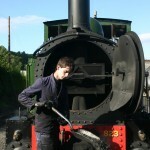 An extra added bonus was Dave offering to take all three of us on a tour of the “behind the scenes” (behind the steam?) areas after his last train for the day – disposing the engine, a walk down the track, and a glimpse in the workshop and engine shed! Dave even took us each up into the cab to show us what it looked like and gave Mark a short cab ride. 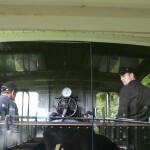 For me, it was the second time being in the cab of a narrow gauge engine while it was actually steaming (and not in a museum setting! ), but it was still exciting. I know Helen and Mark enjoyed their turns as well. 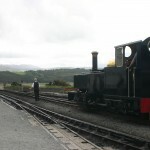 We arrived at Llanfair station quite early. Dave was driving the second train of the day, and we timed our arrival for right after the first train had departed, so the station was relatively deserted. While Helen and Mark enjoyed a cup of tea, I took a wander down the platform taking photos. 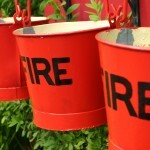 My favourite photo of the day will appear below, of the three fire buckets. 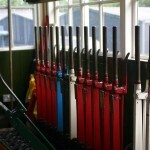 While I was taking photos of the fire buckets, the signaller popped his head out of the signal box and asked me if I wanted to have a look around since it wasn’t busy. Did I? Of course I did! 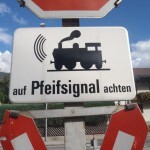 After all, Tim is a signaller. I managed to get photos of the frame and the diagram (drawn by the signaller I was talking to) before I needed to leave the box in preparation for the engine coming through. To our surprise, Dave wasn’t bringing the engine in! There was much confusion, until we actually saw Dave and he explained that they have different people run in the engines from who will be the ones to put it to bed in the evening. Whew. 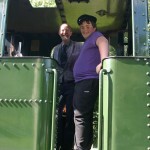 We had a pleasant ride down to Welshpool and waited while Dave and his partner for the day, Dan, did their midway maintenance work before running the engine back round to the front of the train to take it back. Dave showed Mark what he needed to do every step of the way – I hope he was taking notes! 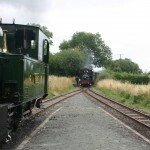 Since Dave was driving the second and fourth trains of the day, we decided to walk into Welshpool proper (about a mile or so) to get some Lunch and then head back to the station to take Dave’s second (and his last for the day) train back to Llanfair. Welshpool isn’t much to talk about. 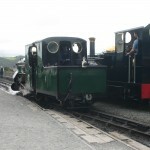 Other than the railway (and let’s be fair, a lot of towns in Wales have narrow gauge railways! 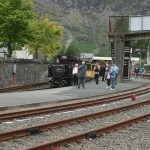 ), it’s a typical town in Wales. Lots of shops, both unique and chain, dotted the main street along with restaurants and pubs. We travelled off onto a side street and found a small eatery called the Lunch Box that had reasonable prices. 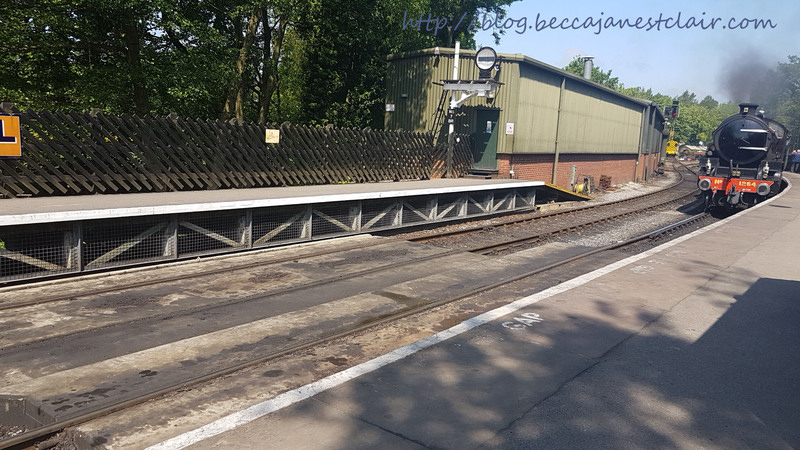 Since we still had time, we did a bit of browsing and shopping before heading back to the station, and we managed to get to the Welshpool station as Dave was bringing the train in, so once again, Mark went to watch Dave do all his routine maintenance and Helen and I got on and found seats. Mark came rushing up to us to tell us that Dave was going to give him a cab ride up to the front of the train, so I ran down the platform to get some photos of Mark in the cab, then ran back up to try to get photos as he went past. 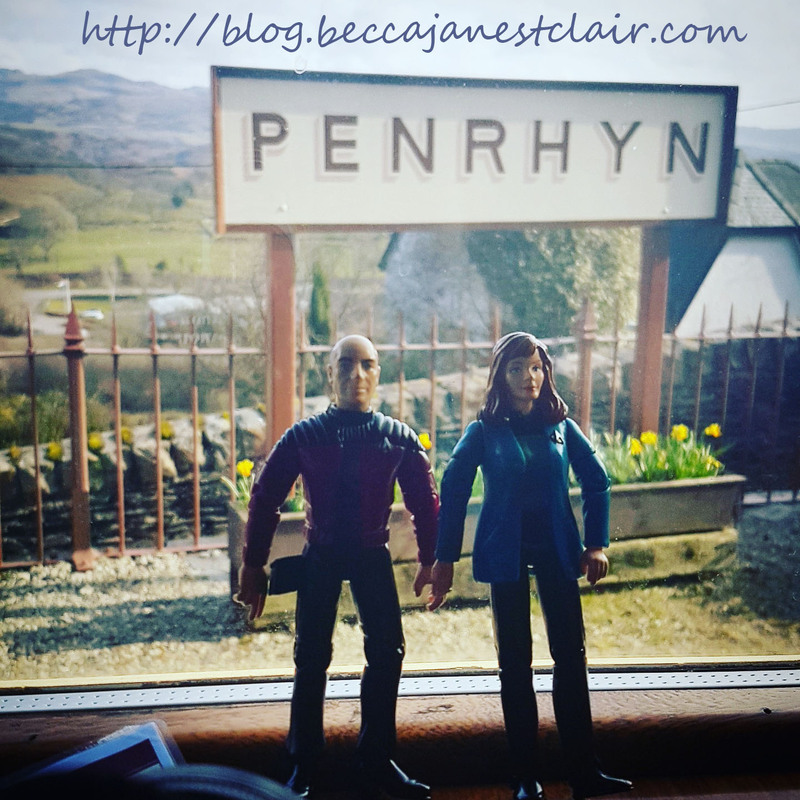 After the return to Welshpool, we browsed in their gift shop and headed back to the car to drop off our shopping while the rest of the passengers departed. We went back in and Dave called Helen and I over and asked us if we’d like to join him while he gave Mark a tour. Of course, we agreed! We had to wait while Dave and Dan serviced the engine for the evening, and Dave was kind enough to explain everything he was doing step-by-step. I’m sure it took Dave and Dan twice as long as it usually did, but we surely appreciated it! Our tour started with a walk through the sheds, where Dave showed us some of the other engines they regularly use. We also got to walk through the workshop, where we saw several engines that were being worked on, engines in pieces, and what the volunteers did to amuse themselves! Farther down the line, there was another shed, and this one contained some engines awaiting servicing, and several passenger cars. 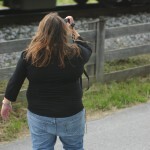 It was fantastic getting to walk down the tracks, and getting to see things most visitors don’t. We’re all really grateful to Dave for taking some time out of his free time to show us around! I can’t wait to go back and ride it again – Every time I ride a railway again, I see new things that I hadn’t seen before. 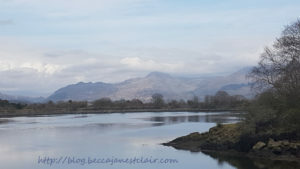 If any of the photos don’t resize properly for you, please let me know so I can fix them! I’m starting to edit the videos together from our trip, and I have the first one up on YouTube. 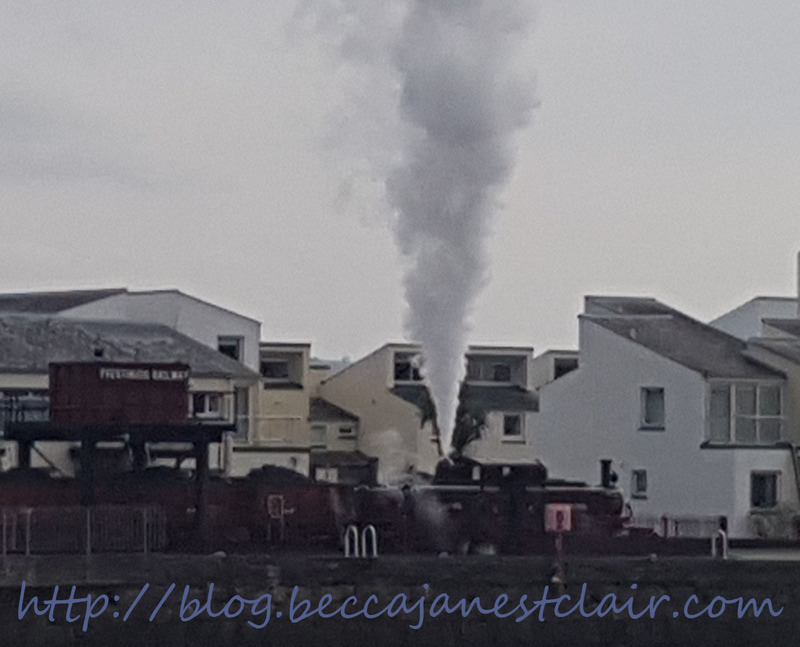 We compiled this during an afternoon of steam train chasing — basically, we followed the route of the train and met it at different places on the line to take pics/vid. I was the videographer. This one was compiled at Amstetten while waiting for our train to Vienna – some freight and even a brand new passenger train being delivered! 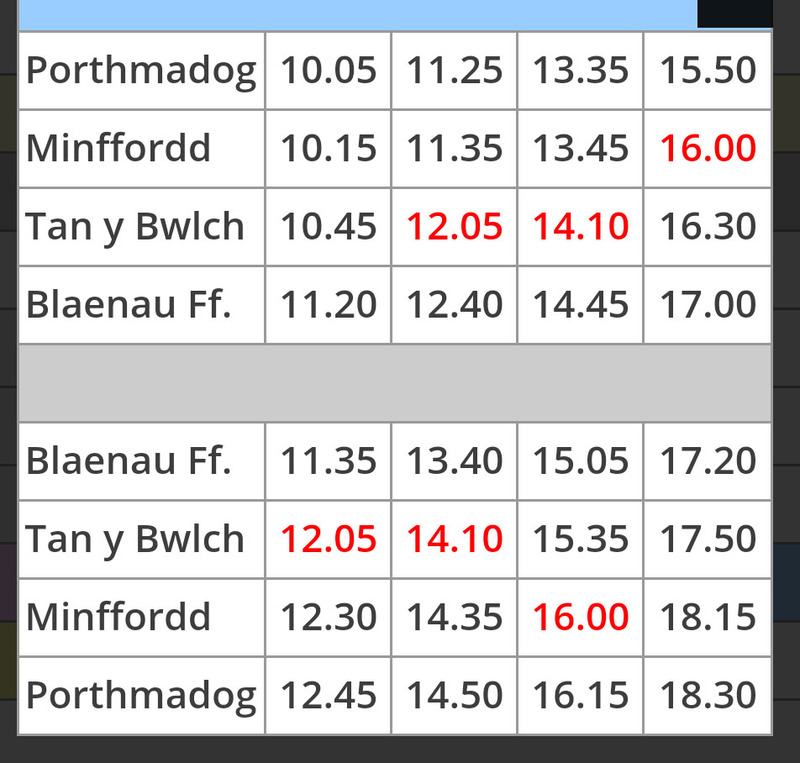 There is still a possibility of the strike being called off, but if you are a commuter, I’d try to arrange for alternate plans on those days just in case! Don’t worry about us. We’re still okay financially. The strike days actually only affect one days worth of wages for Tim, as the 8th and 9th are scheduled days off for him. I’ve posted this to FB and LJ as well. Tim left yesterday (and I will be updating the blog with our adventures over the next week or so), and I accompanied him down to the Philadelphia International Airport (PHL) via Amtrak to 30th street and the SEPTA R1 regional rail line. Because of the time of Tim’s flight (9PM), and the time of the last train back to Lancaster (8:55PM), I knew I’d wind up spending some time at 30th street waiting for the train. Tim needed to be at his gate no later than 8, so we parted around 7:15 (and it was sad, but it’s how things go when you’re LD!). SEPTA had no problems getting me back up to 30th, and I prepared myself to wait out the hour until my train. Around 8PM, the message board flipped my train to “Delayed”. The person at the information booth didn’t have any further information, he only knew that the train attempted to leave NY-Penn and had engine trouble, so it went BACK to NY-Penn to wait for a fix or different engine. *sigh*. So, I sat down, got out my N810, and started IMing people. Meanwhile, I checked the status of Tim’s flight and found out he was leaving at 9:15 instead of 9. He and I were in the same city, but separated by more miles than we had been for the past three weeks of his visit! I don’t think we were ever more than 30 or so feet apart his whole visit. But it really can’t be helped, and it’s not Amtrak’s fault they had a faulty engine. The problem, however, is the way Amtrak handled the issue. When the train got back into NY-Penn, I am told passengers had been advised to take other NY-Penn to 30th Street trains, since the NY-DC trains, and the Boston-DC trains all pass through Philadelphia as they did not expect to get the Keystone running. But….here’s the problem. They had 50 or so people waiting in Philadelphia for this train as it was the LAST TRAIN OF THE DAY between Philadelphia and Harrisburg. 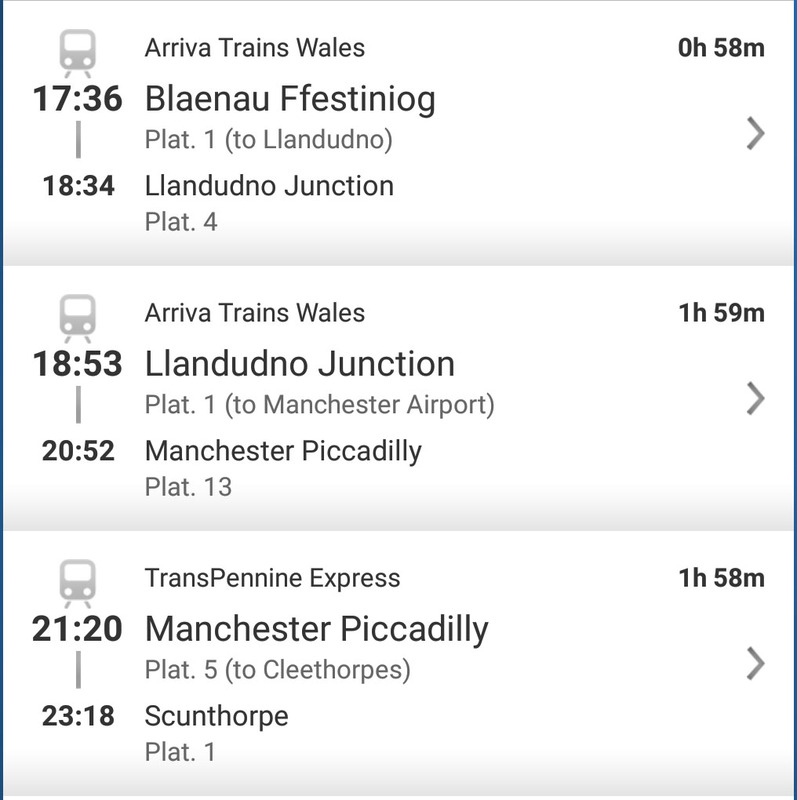 Since dating a railway man, I’ve tried to be a little more understanding about delays and problems because I know what Tim has to deal with sometimes, but it’s still upsetting to find out that one set of passengers had one piece of information, while another set was told something else entirely! As far as those of us waiting in Philly were concerned, we were still going to have a train out to Harrisburg that night. They didn’t cancel the train. They got a different engine, and our train was listed as “40 minutes late”. I calculated it out, and the train was traveling an average of 90 mph to get to Philadelphia from NY-Penn in an hour! Another problem Tim and I encountered yesterday is how ridiculous the Philadelphia International Airport is set up. When you get off SEPTA, you have to go upstairs to a breezeway that connects you to either arrivals or departures. However, it does not connect you to several of the European airlines (BA, KLM, Air France, etc.). It connects you to USA 3000, Air Jamaica, and Frontier. 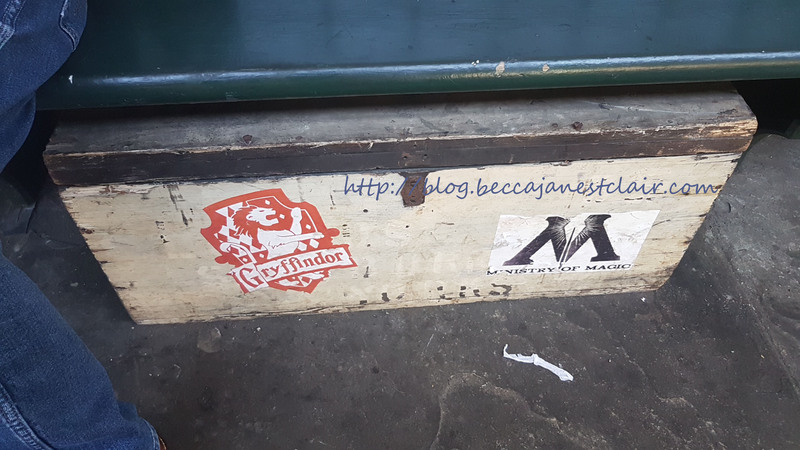 The two check-in areas are NOT connected on the inside, so Tim and I had to exit the terminal at Air Jamaica and walk along side the car loop around the airport dragging his bags (there was a sidewalk, but it still would be loads safer to have people walk inside!) to enter at British Airways. When we first entered, the information monitors said “BA Flight 68 is now departing at 1:15AM”. This caused a minor panic. Firstly, Tim didn’t have a mobile on him to call anyone to update about the time. 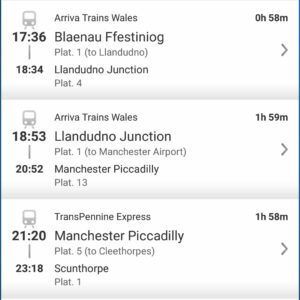 Secondly, a 1:15AM EST departure time meant he wouldn’t land at LHR until almost noon BST and he still had to get a train up to Lincoln. Not to mention being stuck past the boarding gate for over 6 hours. And I had to leave no later than 8 to catch the train back. Fortunately, the woman checking in Tim’s bags told us there were no delays and it was on time. We mentioned the sign we saw on the other side of the terminal and the woman said that they “have nothing to do with that side”. So then, why was there a random message board listing one of their flights as being delayed so badly? I hastily scribbled more phone numbers onto a piece of paper for Tim (since he didn’t have his phone, I needed to give him my US numbers) in case it really was delayed so he could call me from a payphone or use my Skype-to-Go to call his parents. In the end, everything was fine. Tim’s plane took off at 9PM as scheduled (though it landed in LHR 40 minutes late and didn’t have a gate so people had to be bussed to the terminal), and I made it back to Lancaster. That’s all that really matters. Back when Tim and I started planning my trip, he asked me to make a list of places I’d like to see. The list was in no way a guarantee that we’d go, but it was a good jumping off point for making plans. I can also proudly say that after 6 months, we did nearly everything on the list! 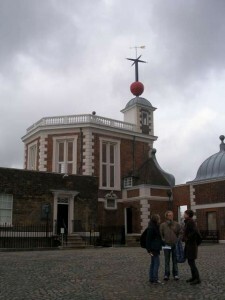 One of the places on my list, was the Royal Observatory at Greenwich. The map geek in me was overjoyed that I was going to be traveling from 100 degrees (when I was in Manitoba last summer) to 0 within a matter of weeks (and, at the beginning of 2008 I was almost at the Equator, too!). 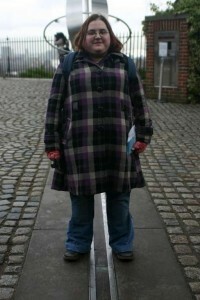 When I was doing some research for my UK trip, I discovered that you could go to Greenwich and stand on the Prime Meridian…thus being in both the West and the East at the same time! When Tim and I planned our weekend to London this past January, we included a trip to Greenwich. We started our trek by taking the Docklands Light Railway, which is a light railway that does not have any drivers on it! (You might remember my vlog I made that day, viewable here.). The DLR doesn’t drop you off right at the observatory, of course, so we had a bit of a walk through Greenwich (though we could have taken the bus, we opted to walk). Once we got there, I also discovered you need to walk uphill to get to the observatory. By this point in our weekend, my legs were really hurting from the prior days, so we took it slow, stopping to sit on benches along the way. Our goal was to get to the Prime Meridian before 1300 GMT, as we wanted to watch the red ball drop at 1300, but we had plenty of time. Believe it or not, I was actually pretty awe-struck finally getting to see the world clock and getting to stand right on the Prime Meridan. There are few things that can excite a map geek as much as being able to be both East and West at the same time! 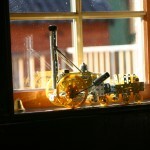 We went into the observatory and got to see a huge display about clocks, and learned about the first clocks ever built. After we watched the red ball drop, we decided to head to the Maritime Museum. Tim wound up going through this museum mostly on his own. My legs were just too tired to take it all in, but the museum had a small cafe, so I was able to sit at a table with a drink and I read and listened to music (and I think I might have even fallen asleep at one point!). I felt bad leaving Tim to look at the museum on his own, but I was glad he was able to get the chance to do it. After closing time, we decided to take a bus back over to the DLR (yay! ), and then the Tube back to Victoria Station for the short walk back to the hotel. I’m standing in the East and the West! I remember this jingle and I always want to sing it when I’m waiting to board an Amtrak train. 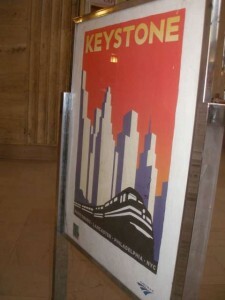 Ironically, they started using the old Metroliner cars on the Keystone and Pennsylvanian service…or at least, they were yesterday and today. 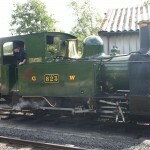 I amused Tim by calling it “the boxy loco” because the engine part looks like a box. Apparently they no longer need to change the engine in Philly and haven’t needed to since 2006….shows how often I’ve ridden the train since 2006. Shame, really, since I used to take it all the time to visit friends. I was fortunate enough on both trips to grab express services. The Pennsylvanian only stops at Harrisburg, Lancaster, Paoli, and then 30th Street, and the Keystone “express” skips about half the stops in the middle, too. All-in-all, a pleasant ride in both directions, though this morning I sporadically napped since I was worn out from the Carbon Leaf show at WXPN World Cafe I went to last night with my friend Erin. 30th Street even has free pubic wi-fi at both the McDonald’s and the Cosi, and Cosi even has comfortable booths and tables to sit at. We saw a lot of people lined up around the perimeter of both restaurants “mooching” wifi. I went inside Cosi, ordered a hot tea, and sat at a table for hours using their wifi and reading while I waited for Erin. No one seemed to mind. Unless something comes up, the next time I get on Amtrak it will be to pick up Tim! 😀 He visits in less than 2 months now! 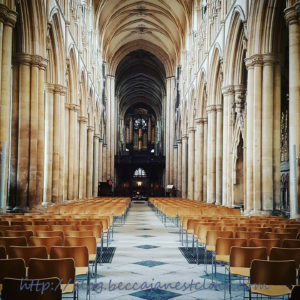 I was waiting to post about our London trip until I had copies of Tim’s photos to post with mine, but he’s been busy with his workshop and other stuff, and I thought I’d get up at least the first post before we head out traveling this weekend. I’ll post photos later, when I have Tim’s. We were looking for something to do over a long weekend, and after rejecting a trip to the Lakes District (nothing was open, and it would be too cold), as well as the Norfolk Broads (same reason), we settled on going down to London and spending a few days there. I previously visited London back in November, but we did a theatre trip with Tim’s siblings and met up with one of my friends, so we didn’t do as much touristy things as I’d have liked, so we decided to do a real tourist weekend in London! We decided to take the train down from Lincoln, and while it was a crowded train, it was a pleasant journey. We had to switch in Newark from the local train to a National Express train, but we were lucky to only have to wait about 5 minutes. The National Express train even had wifi! I didn’t pull out my laptop, but I used the wifi on my iPod. We had packed some sandwiches for the trip, but wound up saving them for the next day. We had to switch to the Underground at King’s Cross. A single fare cost me over Â£4! Insanity when the day pass is only Â£7, but since we only needed it for one trip, the daypass was pointless. Our hotel was located about 3/4 of a mile away from Victoria Station….which wasn’t bad, but it felt like a mighty long walk carrying luggage! 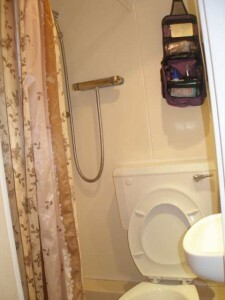 It was coming up on dinnertime, so we checked into our B&B, got ourselves settled and discovered both the smallest bathroom I’ve ever seen (even smaller than the bathroom on the cruise ship I was on! ), as well as a mini fridge to keep our snacks cool, and headed out in search of dinner. We wound up at the mini mall connected to Victoria Station and had a great dinner in one of the restaurants. 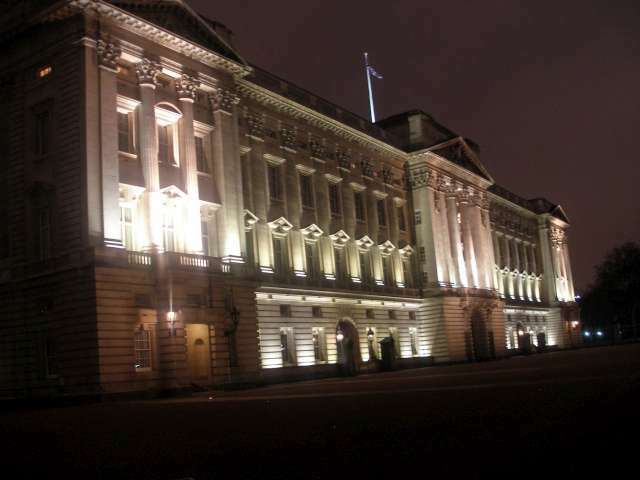 After dinner, we returned to the hotel, grabbed our cameras, and walked down to Buckingham Palace (about a mile from where we were staying), and shot some photo and video in the dark. The evening wasn’t cold at all, but we were getting tired, so we retired back to the hotel around 10. We knew we wanted to get up and out early the following day (plus didn’t want to miss breakfast! ), but my stomach had other plans for me. We still got out on time in the morning, but for about half the day my stomach was churning. The bathroom was so small, part of the toilet tank stuck into the shower and the shower stall was so tiny, neither one of us could really turn around without getting the entire bathroom wet! (And I’m a small person!) If you shut the door to use the toilet (like most people do), your knees almost touched the door and I kept banging my knee on the sink. We barely had any room to keep our toiletries and towels in there! I fixed my photo posting, so you can now click on images again to get a larger pic. Tim had a day off on perhaps the snowiest day of the season so far here, but we had made plans to take the train to York to go to the quilt museum and the National Railway Museum, so we decided since we didn’t have to drive in the snow, we’d still go. I think we both wish we hadn’t. Not because we didn’t have a good time, but because it was cold and wet and both of us were a bit under the weather…that turned into a really bad cold when we got home! 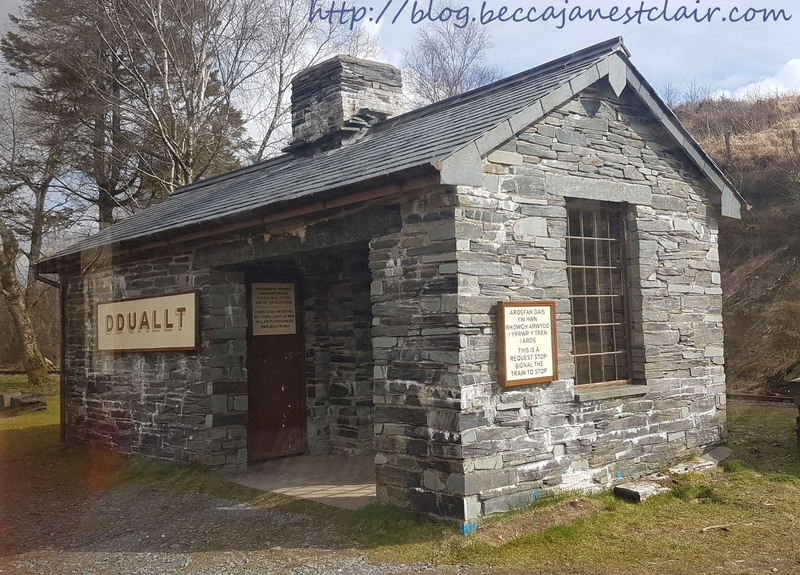 Our first stop was the quilt museum….once we found it. 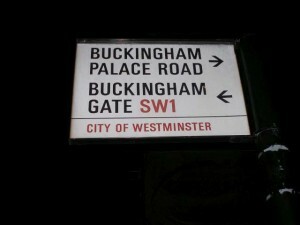 All we had to go by was the sign we had seen in the city centre. We followed the sign until we ran out of signs, and after not being able to find it, we decided to head to the information centre to get directions. The streets of York were unplowed, the sidewalks unshoveled, and when we walked on a narrower street we got splashed by the passing cars. 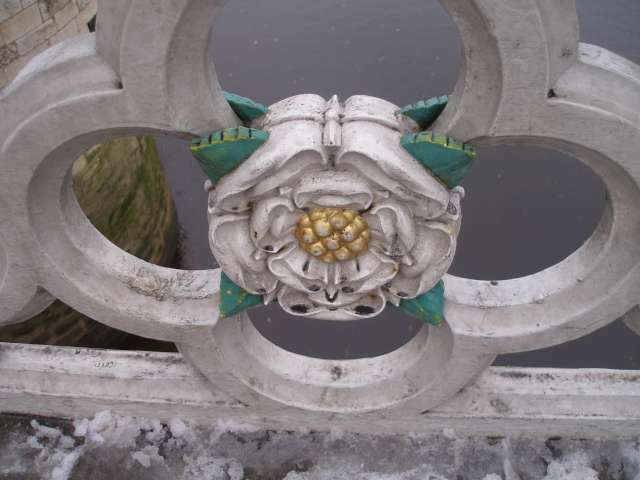 It was absolutely miserable and the snow had turned to sleet, and then to rain. At the information centre we picked up a flier, looked at a map, and discovered the museum….right around the corner from where we were looking! 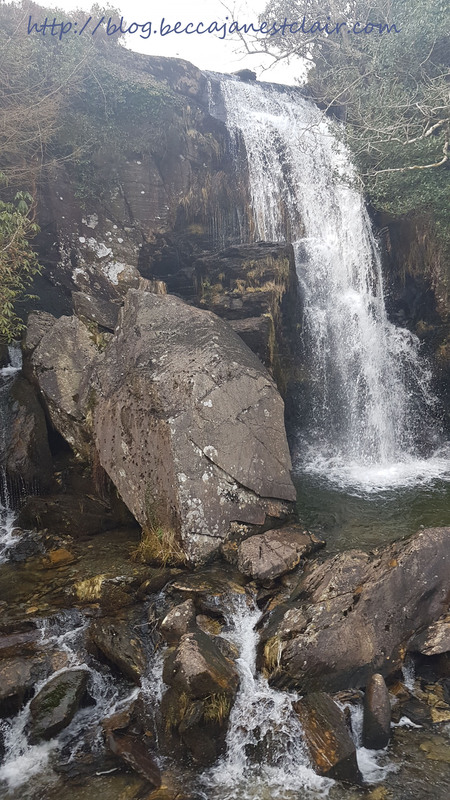 My socks were completely soaked by this point, but fortunately I had thought to pack an extra pair of socks into my knapsack (US: backpack), so I swapped my socks when we got there. The quilts were beautiful, but we weren’t allowed to take photos. Ironically, we traveled to York, UK to see two quilts that had been made in Lancaster, PA. One by Mennonites, one by Amish. I was pretty amused. On our way over to the National Rail Museum we stopped for some Lunch and some hot chocolate to warm up. The wet had already soaked into my socks again, so we stopped in Marks & Spencer’s to purchase socks. I spent about Â£12 on two pairs of thermal socks, a pair of padded socks, and 2 pairs of knee highs and after getting permission from the women at the till (US: cash register), I changed my socks again in the shoe section of the store. I put on a pair of thermal socks AND the pair of padded socks. My feet were FINALLY warm. Of course, we had to walk back across town to get to the NRM, but the good thing was the museum was right next to the train station we’d need for the trip home. We had a good time in the museum. 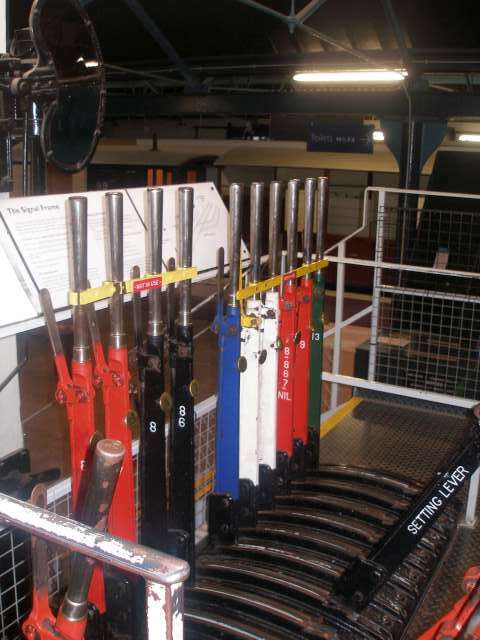 They had a lot of things related to Tim’s job (signalman), so I finally was able to learn more about his job since I wasn’t allowed to actually visit him at one of his boxes. They even had a signal box set-up in the children’s area that let you play with the signal, and Tim showed me how to work it. 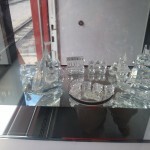 We also saw several of the Royal trains, which I found fascinating. 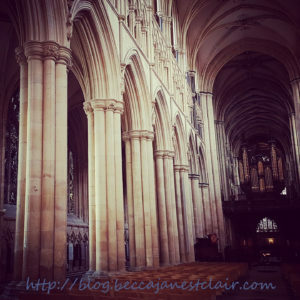 It was getting dark, so we headed across to the station and boarded the next train back to Lincoln….I slept the whole way home on the train, I was so exhausted….but my feet were finally dry! Okay, I have no idea if they’re called The ‘Pools or not, but we went to both Liverpool and Blackpool this past weekend by rail from Rainhill, a town about 20 miles outside of Liverpool….and I’ve decided that Northern Rail is horrible! 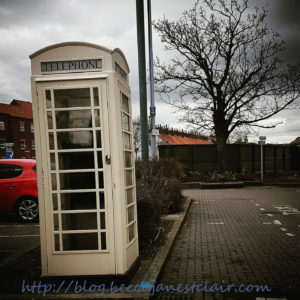 BOTH days were filled with delays and cancellations….and I got locked in a loo! 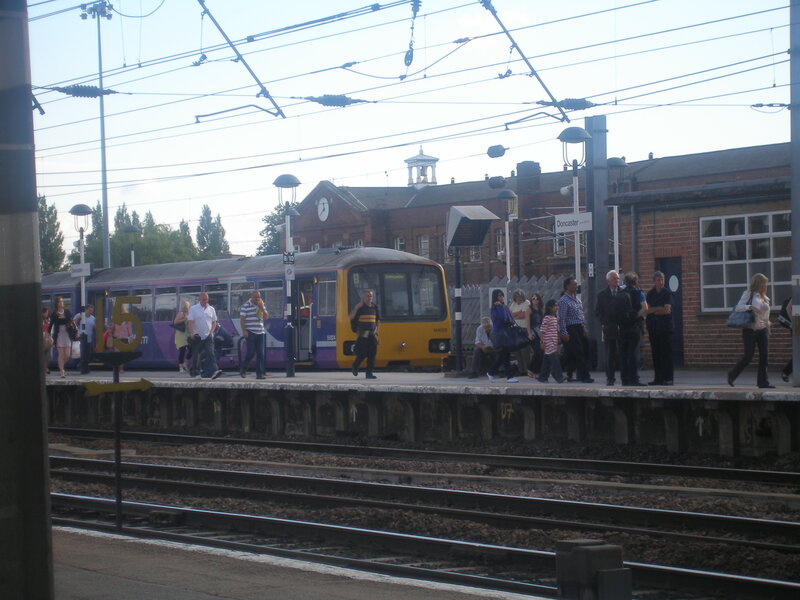 Day 1, we arrived at Rainhill to take the 10:28 into Liverpool around 10:15 or so….to find out that the train had been canceled and we would have to wait an hour for the 11:28. We debated driving into Liverpool instead, but by the time we got back to the hotel and the car (a 20-30 minute walk) and drove all the way to Liverpool, we wouldn’t have saved any time. Plus, we had special “Christmas Cracker” train tickets that only cost Â£1 for the round trip INCLUDING access to the Merseyrail electric line though the city. There was no way we’d find parking for that cheap! We had no other problems, and I’ll tell you all about what we did in a later entry, because I know you’re all dying to hear the stuck in a loo story. Day 2. It seemed to be a typical thing for trains to be running late or not at all on the Northern Rail lines, and today was no exception. 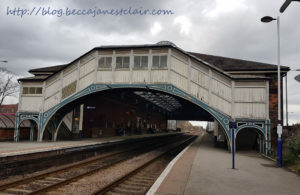 We found out we’d wind up missing our connecting train to Blackpool if we stayed at Rainhill, but the station master suggested a short bus ride to a nearby town where we could connect directly with a Blackpool bound train. Once we got to St. Helen’s, we found out the Blackpool line was also running on a delay, but we managed to catch the earlier (now delayed) train as a result. I really had to use the toilet, and because we arrived at St. Helen’s with only a few minutes to spare, I was unable to use the toilet in the station. The trains are equipped with toilets though, so it wasn’t going to be a problem….only it was. The toilets on the trains are designed to run with electrically powered doors. You press one button outside to open the door, one inside to close it, and another inside to lock. When you’re ready to leave the toilet, you press the top button that opens/unlocks. I pressed the button and the door moved maybe one or two centimeters. Thinking I hadn’t disengaged it properly, I hit the close and lock buttons again and tried for open/unlock. No such luck. I banged on the door and yelled “Help! The door to the toilet is stuck!” Of course, Tim was sitting in our seats all the way in the back end of the train, so he couldn’t hear me, but someone apparently did and alerted the conductor. I banged and called for help again, and I heard the conductor tell me he was going to try to get me out. He tried squeezing his fingers through the small gap, but was unable. He told me to wait, and he went and asked the driver to reset the toilet door. He then tried to press the open button, and it still wouldn’t budge. The conductor had to use his entire body weight to pry open the toilet door far enough for me to sneak out, after which I am sure a giant “out of order” sign got placed on the loo. 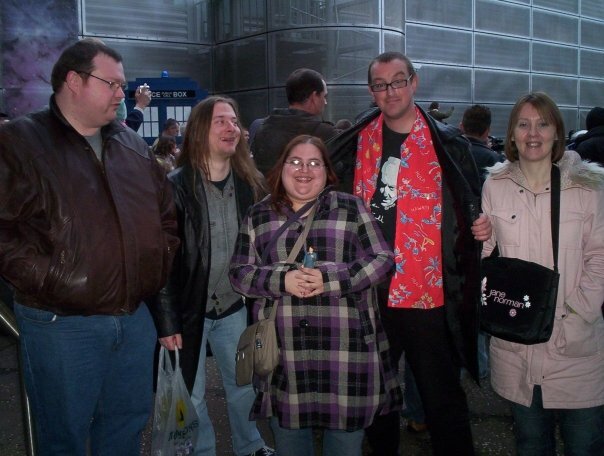 Tim’s dad had been in the Leicestser hospital, and while his mum was driving back and forth visiting him she heard on the radio about an event at the National Space Centre called “Exterminate 45“. Since she knew we are both big Doctor Who fans (okay, I’m probably a bigger fan than Tim), she made sure she told us about it. Unfortunately, Tim had to work that day from 2-10, so we originally planned to head out in the morning, and then he’d leave for work and I’d make my way back on the train. 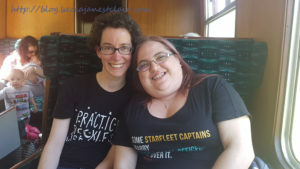 I posted on a Doctor Who community to see if I could find anyone to hang out with, and I met C of the Leicester Doctor Who Club, who invited me to spend the afternoon with her and the rest of the club. 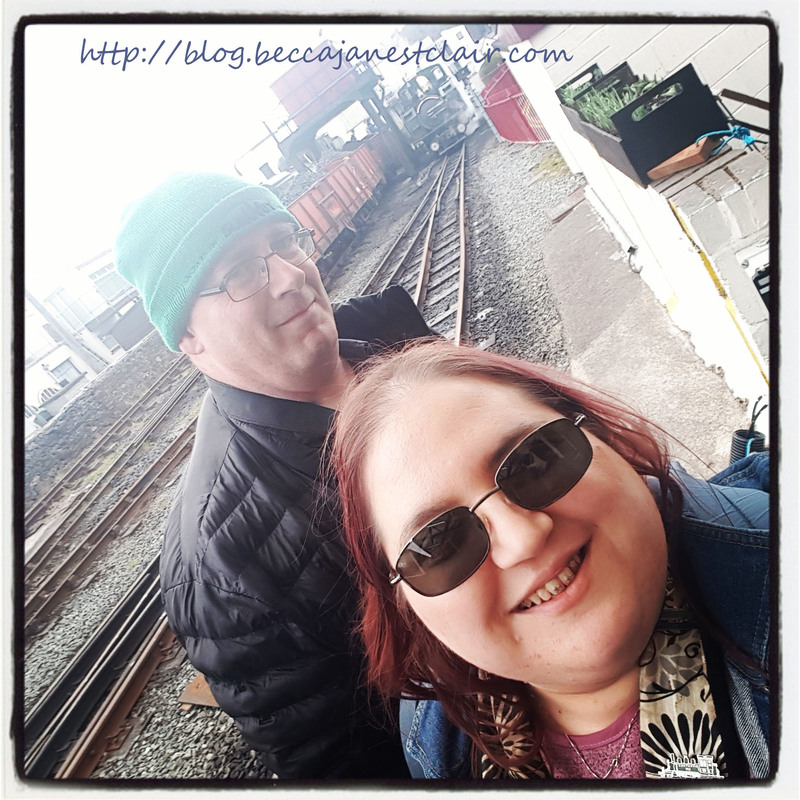 Unfortunately, Tim and I had to alter our plans again, as a neighbourhood kid who looks to Tim as a mentor needed his help Saturday morning, so Tim and I decided I was going to make the trip by myself by rail and bus! The trip really wasn’t too bad, and the train was a straight journey from Lincoln to Leicester. The trip took two hours because of all the little station stops, but I’m used to that with SEPTA! My problems began when I got to Leicester. The Space Centre’s website tells you you can take two busses from the rail station and mentions the street names where the stops are….which was fine, but they didn’t give you any directions on how to find the streets. I had foolishly assumed the two streets were streets bordering the train station (I was sort of picturing 30th Street Station in Philadelphia, where you can get to 4 different streets from within the station)…they didn’t, but I did see a sign that said “bus station”, so I started walking towards it, pulling out Tim’s copy of the Leicester A-Z map to see if I could figure out where to go. I got lost in the marketplace area. Many city centers have a pedestrian-only section of town where all the shops are, and there are loads of side streets and alleys with shops. I’ve gotten pretty good at navigating Lincoln, but Leicester confused me. There were streets that weren’t on my map, and streets that had two different names at an intersection. Confusing, right? I finally saw a bus, and I walked up to it and asked the driver if he knew where I could find bus 54, and he directed me to the correct stop. I finally made it to the bus and paid my Â£1.80 for a return (US: round trip) ticket. I was expecting to get dropped off right outside the Space Centre, but the bus actually drops you off about a half mile away. I asked the driver how to get there and he told me to “cross the street and you can’t miss it”. Well, I crossed the street and couldn’t see the Space Centre through the fog, but I DID see the top of the Abby Pumping House Tim and I had gone to in October. The Pumping House is next door to the Space Centre, so I headed in that direction. I got in line to pay my admission, Â£12. The person behind the counter wasn’t quite prepared for my American debit card, so I wound up with a complimentary ticket. Not bad at all. 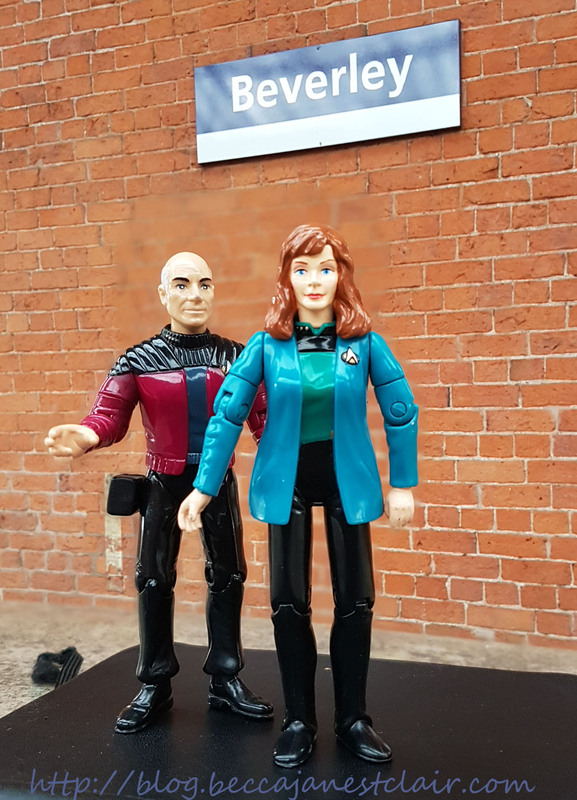 I walked around a little bit, and then shortly after met up with C and she and I wandered around until we found the rest of the Leicester Doctor Who Club. 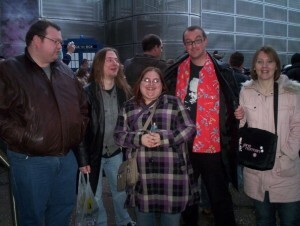 We had a great time goofing off and checking out all the Doctor Who stuff AND the Space Centre. About half of us rode on the “Europa Simulator”, which was a small 3-D ride to “prepare” you for being an astronaut sent to Jupiter. The ride had one of those lap bars they pull down and the guy doing it just kept slamming it down. We had to have it done several times because one of the bars wasn’t going down fully, so I kept having this bar jammed into me over and over. At one point I told C if he slammed the bar down again I might have thrown up on him, it was that jarring. At Exterminate 45 they wanted to try to beat the world record for people dressed as Daleks, one of the monsters of Doctor Who. None of us were in costume, but we headed outside to look at all the costumes and things ranged from the incredibly accurate to small children wearing cardboard boxes carrying a whisk and a plunger (the two “arms” of a Dalek look similar to those items). We even saw a child dressed as “The Empty Child” with another kid dressed as Captain Jack! 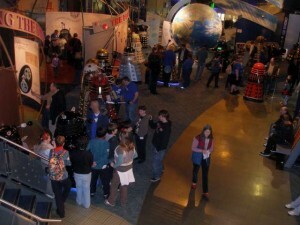 We wandered back inside and started making our way through the exhibits – both the Space Centre exhibits and the Exterminate 45 exhibits – and kept “running into” assorted Daleks, and I even shook hands with one of them! There was loads of other Doctor Who related things there, too. Several people had brought along versions of the TARDIS, there was at least 2 versions of K-9 (aka “the tin dog”), one that was super accurate, and a club member dressed as an Ood! When things started to wind down, the group I was with decided to head to a pub in town for a few drinks and asked me to tag along. We boarded bus #54 and I went to hand over my return….but what’s this? It seems I rode OUT on one bus line and was riding IN on another, and they don’t take each other’s tickets….but BOTH buses were Bus #54 and went to the Space Centre and even stopped at the same place. *shakes head* So I had to hold up the line while I dug out an additional Â£1.50. I forget the name of the pub we had gone to, but we found a table in a corner and chatted. One of the guys in the club, N, and I started discussing words that mean different things in the UK vs. US. I’ll have to write up a blog entry about that at some time, because it was a really fun conversation. I left the group around 6 to get back to the station. I was told it was really easy to get back – and it was! I boarded the 1830 train, and headed back to Lincoln. Tim kept texting me telling me where I was (on the route) and I was really confused until I realized that he could monitor my train from his signal box, though I didn’t pass the box he was working at. We got into Lincoln at 8:30, where Tim’s mum (and dog!) picked me up since the bus to the village stops running at 6. The Leicester Doctor Who club invited me to come out for their December meeting, and if the train schedule can be coordinated, I just might, I had such a great time with them! I really love the old classic comedy movie “Planes, Trains, and Automobiles”, but I was beginning to feel yesterday like I was a part of the film….minus the sharing hotels with strangers and setting things on fire, of course. Part of this entry I wrote yesterday while waiting in Winnipeg, the rest I wrote this morning. I’ve made it as far as the “holding pen” for US bound persons. There’s wireless, but neither Captain Jack nor Gwen can seem to gain access to it. Jack will connect, but never bring up the access page, and Gwen brings up an access page that wants me to log in with my Telus account….something I don’t have. 🙁 Ah well. My day started out on a VERY bad note. Actually, let me backtrack to last night. I’m not sure if I’ve spoken of my immense arachnophobia on this blog yet, but suffice it to say – I have it in the worst possible way. Anything other than daddy long legs completely freak me out to the point where I sometimes even cry. Last night I went to carry up the dirty litter and got the bag stuck on a loose nail, so after I got the bag out of the house, I decided to grab the swiffer to sweep all the litter into the basement, where I planned on then using their basement vacuum to get it all up. Except that while I was sweeping off the steps…TWO large black spiders (the size of a US nickel including legs) popped out of a hole and terrified me to the point where I lost my balance and fell down the steps. Not a good thing when I still had some cleaning to do. I emailed Sarah and Joe to let them know what happened, and Sarah told me not to worry about cleaning the rest up. Anyway, so cue this morning. My flight out of Dauphin (on a 12-seater prop plane!) was at 7:50. The airline confirmation said to arrive an hour ahead, which made it 6:50, and I decided I was going to call for a cab around 6, figuring on it arriving to pick me up at 6:15 and I’d get to the airport between 6:30 and 6:50. I was ready to go by 5:45 and had everything packed including my laptop, so I decided to just start giving the cats some good-bye love (which Quincy ignored, Casper was indifferent to and meowed, and Hobbes climbed onto my shoulder), and call the cab company. Sarah told me to use Parkland Taxi, as they were on the other side of the highway. I called around 5:50 and got a recorded message that told me the hours were 6AM til whatever time at night. Wow, glad I didn’t need a ride earlier after all. So, I chatted with my mom on Skype for a bit and tried again at 6 on the nose. Same message. I tried at least three more times and STILL got the recorded message. I was sort of starting to panic. Fortunately, I was able to load the dauphin website on Captain Jack and got the number for Dauphin Taxi. Located a bit into town from Sarah and Joe’s, but they answered the phone and I had a cab by 6:20. My taxi ride was $13 though, so I’m not sure if I had to pay for him to come GET me too or what as the airport wasn’t that far away! Anyway, we arrived at the airport before the counter person was even there to unlock the door. I think the cab driver wanted me to stay in the cab and let the meter run, but I saw a picnic bench so I told the driver I’d wait there for it to open. As I was paying the driver, the person with the keys pulled up, so I didn’t have to wait outside after all. While waiting for the flight to leave, I met someone who is some type of Government person. He was pleasant, and we had a nice chat. Soon, it was time to barod the plane and about a half hour later we were landing in Winnipeg. Before I continue, I want to add in my little rant about this airport business in Winnipeg. The airport we flew into and the International airport are in the same compound yet if I had taken a cab alone, I’d have had to have shelled out $10-12 for a cab plus tip/baggage handling. To essentially GO AROUND THE BLOCK. Why don’t they offer a free shuttle between the two? Or even a shuttle for a $5 fee or something like that? All they’d need is a 15-passenger van or something. Just seemed ridiculous. In the end I only paid $5 anyway because of sharing the cab (he got $5 from me because I wanted to give him $4 and hold onto my loonie, but I accidentally handed him a toonie and a loonie and didn’t want to grab the loonie back out of his hand, but wanted to give him more than $3 for my share). Anyway, back to my travel story. NWA wouldn’t let me check in. Well, she said she could, but then I’d have had to have gone though to the Customs screening right away and been forced to wait in the “pen” all morning where there isn’t alot of food options…but yet if I didn’t check-in, I was able to go upstairs to the main airport….I didn’t quite understand why I couldn’t have checked in for the flight, gone upstairs and then come back downstairs to go through customs, but whatever. I had to drag my suitcase around with me upstairs. I went into a small souvenir shop and picked up a thimble for my neighbour and a few other items (and a really cute purse/bag for me that had pockets on the front the perfect size for my LG9900 and N810). Surprisingly, it was very easy to get through everything. Checked my bag, got through customs with a grand total of ONE question (“What did you buy in Canada?” “a bathing suit, some gifts for family, and some candy”), and even security was a breeze. I’m typing this from the lounge though becuse I needed to make sure TSA didn’t do anything to FUBAR my laptop…they ran a freaky wand over the top, bottom, and then opened it to run it along the inside. I asked the woman what it was for and she explained it was to check for any chemical residue. I asked her if she needed me to power it on, and she said no. So, laptop owners can be re-assured that TSA is not out to get us with taking laptops internationally. Okay, my second leg of my trip starts in about 20 minutes, so I’m going to save this and shut down. Perhaps Minneapoilis will have free wi-fi I can grab…at the very least, I know Philadelphia does! I got so sick on that flight. I was seated at the back of the plane right next to the turbine (I think that’s what it’s called),and I guess the back of the plane is like the back of the bus and I got airsick for the first time in my life. When we got to Minneaplolis, I booked it over to the connecting gate and explained to the guy at the counter that I wasn’t feeling well, could he move me closer to the front of the plane. He said “If I have it, you got it” and moved me to row 5. Then, I spent about 20 minutes walking all over Minneapolis to try to find PLAIN bread/bagels to eat to try to calm my stomach, and finally settled on tea from Caribu Coffee. The flight wasn’t bad. Row 5 happened to be the first row after first class, and I guess the counter person put a note that I was ill because I got lots of attention from the flight attendant. She brought me ginger ale while we were waiting to take off, and when they were serving first class their meal, brought me a dinner roll. She also told me if I wasn’t feeling well I could use the first class bathroom and could get up even if the seatbelt sign was on. At Philadelphia, it was a mad dash to get my baggage and try to not have to wait for the R1. Fortunately, our bags came out in record time and I managed to make it onto the 8:39 R1….and then I had problems. See, apparently the Zone 5 ticket I purchased 2 months ago was no good on the R1 line because it didn’t say “CCP” on it, and the conductor wanted me to buy another ticket from her at $7. The problem was, I only had $4 in US Currency. The people who had been with me on the plane and made the mad dash with me didn’t even offer to make up the difference, which I thought was kind of rude, but typical for Philadelphia. Anyway, I explained to the conductor that I only had $4 and asked if I could give her my bad ticket AND the $4. She told me no, and said that she would take my not good ticket “this time”. I had to wait at 30th street for about 2 hours for my Amtrak train. There were loads of creepy people around at that time of night, but the Cosi offered free wi-fi, so I was chatting to a few friends. Finally, we were able to board the train and I was headed home! We arrived slightly early, and I think I walked in the door at home at exactly midnight. Mom and I stayed up until 3 in the morning talking! I shouldn’t be awake right now, I sort of feel like a zombie. 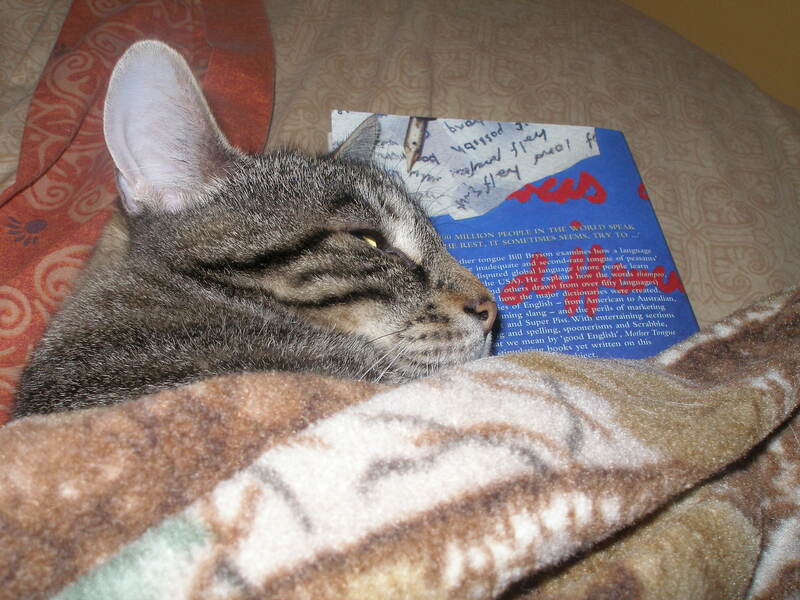 I have a lot to do today though. Will was acting a bit weird around my suitcase, so I want to empty it out and febreeze the whole thing because I’m sure he smells strange kitty. I was going to add some photos from yesterday, but my camera is in the living room, so I will do a separate photo post later in the day. Last post from Dauphin. Farewell kitties, new friends, CBC, prairies, and labels half in French. I’m hoping since I get to Winnipeg so early that I’ll be able to get myself put on earlier flights – or at least that I can get an earlier flight to Minneapolis. If I have to wait there for 5 hours for the original connection I won’t mind so much because once I’m back in the US I have access to my mobile phone. I really don’t like it that I have to be in the Winnipeg airport without a working mobile.